2011 US Open champion Sam Stosur reached a milestone today in her otherwise routine straight sets win over Kiki Mladenovic: The Big 5-0-0. 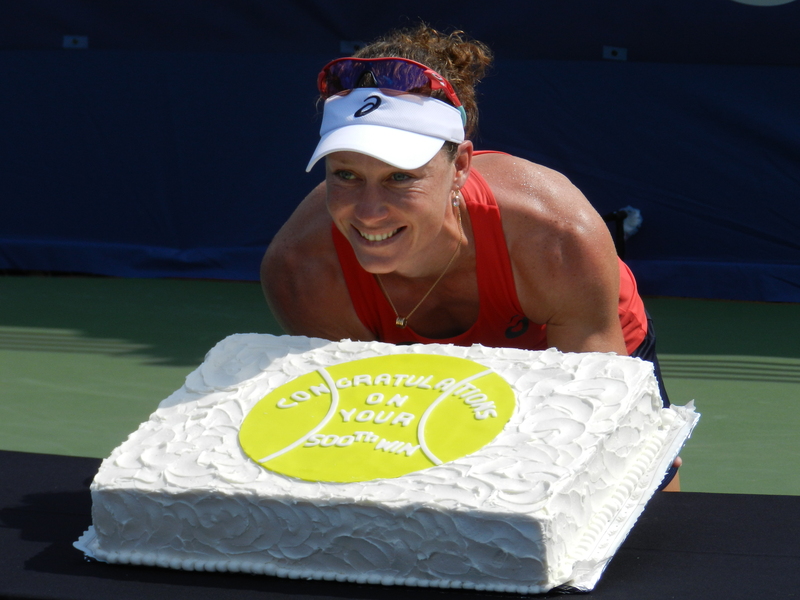 Stosur claimed she had “no idea” that the 64 minute 2 and 2 win was a milestone until they brought out a cake on Grandstand Court. 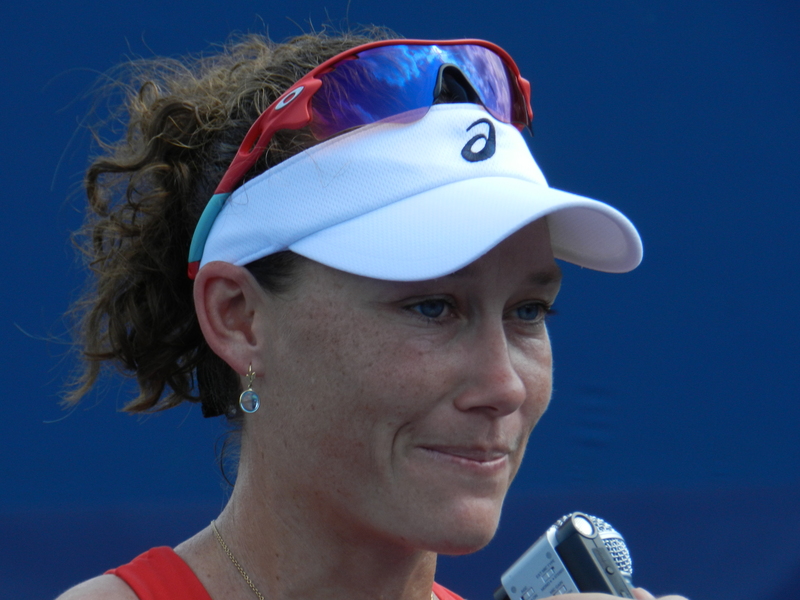 Now I love Sam Stosur, but I don’t believe a word of it. I heard talk of her at #499 all weekend at the tournament. That 2 & 2 match was apparently also pretty damn meaningful to Kiki Mladenovic, who was caught crying outside the media center by Ricky Dimon of TennGrand.com. 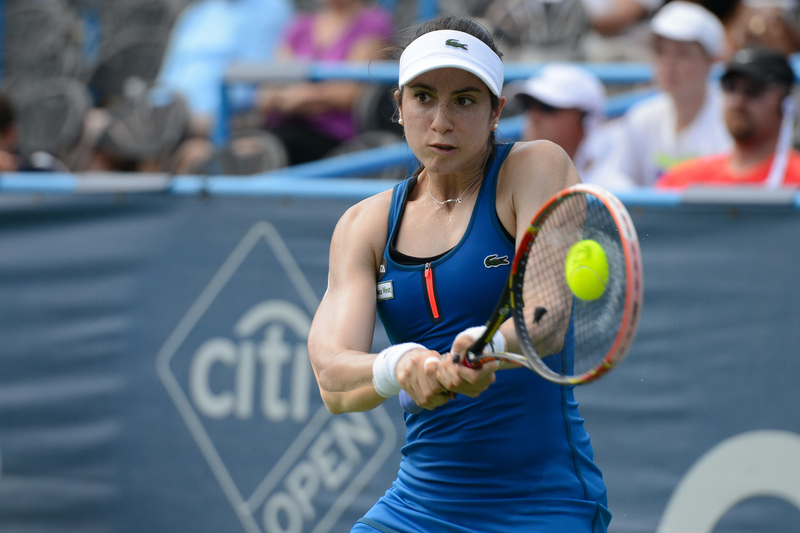 Christina McHale has matured a great deal as a player. After a tough three set 6-2, 4-6, 6-4 win over a recently resurgent CoCo Vandeweghe, she admitted to me that was the type of match she would have lost only a year ago. Next up, McHale has a date with “L’il Troublemaker” Yulia Putintseva, the woman who only smiles while binge-watching the entire chronology of “Saw” movies. As of this moment, play has just resumed on Stadium Court after a one hour rain delay. Kei Nishikori’s match against James Duckworth, originally scheduled for not before 7:30 p.m., will not commence until at least 10:00 p.m. Meanwhile, enjoy this Kei Nishikori practice video from earlier today and we’ll wrap up tonight on the morrow.